Aid budgets are set for their biggest fall in 15 years as a result of austerity cuts in developed nations, according to Oxfam, making it a necessity for African countries to focus on their own economic development rather than relying on handouts from richer nations. Calculations by the agency suggest that aid will fall by at least $9.5 billion by the end of 2012, figures which Oxfam calls “shameless and depressingly predictable”. It says the figure likely to be trimmed from budgets is enough to educate more than half the 67 million children who currently cannot afford to go to school. Any cuts are expected to impact strongest on education provision, with the goal of Education for All (EFA) by 2015 likely to be hardest hit. This month’s UNESCO Education for All Monitoring Report said a decline in aid funding would prevent progress towards the 2015 target, with Sub-Saharan Africa already some way from meeting this target. “Aid to basic education continues to comprise around 40 percent of total aid to education. Yet, of the $5.6 billion in aid to basic education, only around $3 billion went to the poorest countries. These countries need $16 billion a year to achieve the EFA goals by 2015, leaving a large deficit of about $13 billion,” the report said. Yet the global financial crisis is forcing governments to make savings and aid budgets are not immune from this. The United States Congress is demanding cuts to foreign aid as part of a larger deficit-cutting programme. 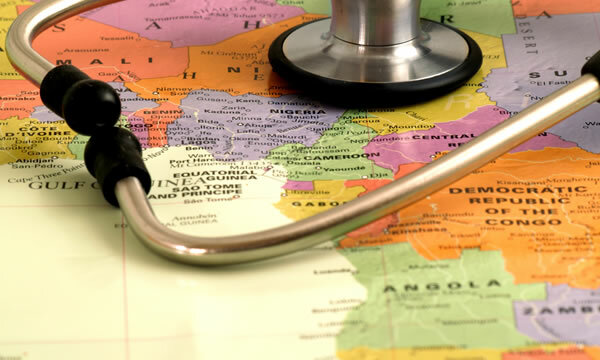 The six-year, $93 billion Global Health Initiative (GHI) programme, which seeks to improve medical access and quality in eight developing nations, is one that is under threat. Under the programme, initiated in 2009, Kenya was one of the countries to be supported with 65 billion shillings ($775 million) per year for a period of three years. All three Republican presidential hopefuls have advocated cutting US aid overseas. The Netherlands has restructured its aid policy to exclude education, while Spain is under pressure to reduce its aid budget. There is every indication that other countries are following or will do in the near future. It is not only donor governments that are scaling back their commitment to aid. International Monetary Fund (IMF) loans are likely to fall as a result of the financial crisis. World Bank funding commitments for education in the world’s poorest countries fell by over $700 million in the last financial year and is now at the second lowest level in over 20 years. This is despite the high-profile commitment of an extra $750 billion last September for education in developing countries and warnings from senior figures within the organisation that cuts in aid budgets would be folly. Some American criticism of US aid cuts in Africa came from the same angle, with Dr Christopher J. Elias, president of international development organisation Program for Appropriate Technology in Health (PATH), saying the move could hurt American business interests in the long-term. Oxfam believes that these cuts are evidence that poor people will pay the price of austerity measures in rich countries, and has urged the developed world to find new ways of funding development. Though a 2010 survey by World Public Opinion found that Americans believed 25 percent of the federal budget goes to aid, the real figure is a lot smaller. The International Affairs Budget, which has come under pressure for cuts in the US, is only 1.4 percent of the federal budget and has already seen cuts this year. Only $50 billion of a total budget of $3 trillion was for the State Department budget, according to Russell Rumbaugh of the non-partisan Henry L. Stimson Centre. This money funds US embassies and diplomacy around the world as well as aid work. Rumbaugh has been joined by several former US secretaries of state in arguing that cutting this budget would not deliver the savings that are needed. “There are more hungry people in the world than live in North America and Europe combined,” says Lawson. “How can we tell them there’s no money for aid while the bankers who caused the crisis are pocketing billions in bonuses?